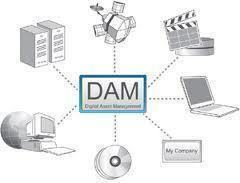 Digital asset management (DAM) is the technology that allows organizations or individuals to manage both tasks and decisions which leverage digital assets. These systems provide a cohesive way to manage potentially large volumes of documents, videos, digital imagery, and database resources using defined protocols by the DAM system to avoid interference between coworkers and to maximize productivity. The digital asset management field has a number of open source and commercially available product tools on the market to help address the needs ranging from academic settings to large enterprises. Most digital asset management software applications are designed to operate in a specific operational context. By scoping the management software to deal with a finite set of file types and expected operations such as shared storage, editing, and embedded communication functionality, the programs can be optimize for speed and efficiency. Almost all DAM software programs; however, use metadata to help describe the information being managed and help apply rule sets on the use, editing, and sharing of material down to the user level. Depending on the scale of implementation, the type of metadata (or decoders) used for asset management will differ to help deal with the problems of scale and network latency over distance. In these cases, the metadata will provide guidance to access control rules and the method(s) used for play out or decoding of information. The term digital asset refers to any digital media whether in text, image, document, or other multimedia format that is capable of being managed by the digital asset management system. In technical circles, the highest-resolution of an asset is referred to as the “essence” of the data file. Further details regarding the asset are contained within its metadata that can either be computer generated or input/edited through manual action by users of the DAM system. The metadata for a digital asset can be used to describe a wide range of characteristics of the asset. These characteristics can vary depending on how the DAM system is designed and the ultimate needs of the organization or end user. Some of the information included in metadata is history of updates, ownership of the data (who can view, edit, and delete), content description, and means of decoding. DAM systems that are designed to support extremely large organizations or to work over distance will also incorporate the idea of proxy copies of large assets in the system. This helps reduce overall bandwidth requirements when video or large image files are stored on the system. The proxy copy is a lower resolution copy of the “essence” or main copy of the file. What Tasks Does Digital Asset Management Software Accomplish? 1 – Backing up digital assets checked into the system. 3 – Organizing digital assets checked into the system. 4 – Verifying the integrity of digital assets checked into the system. 5 – Securing digital assets against unauthorized access or manipulation. 6 – Locating duplicate copies of assets checked into the system. What are the Types of Digital Management Asset Software? There are three main categories of digital asset management systems in use in industry today. 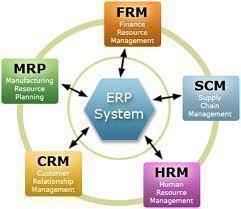 These include: brand asset management systems, production asset management systems, and library asset management systems. 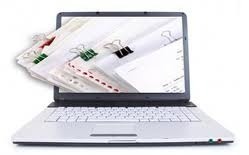 A brand asset management system has a focus on content re-use within a medium-large group or organization. The majority of the content in this type of system is sales or marketing focused. Some examples of data found in this type of management system includes product imagery, logos, marketing fonts, white papers, marketing videos, and consumer or customer testimonials. A production asset management system has focus on managing digital assets throughout the creation cycle. Specifically, they will include project management and work-flow features to include organization, storage, and version control for frequently changing digital assets such as video games, animation, visual effects, 3D films, or other software-based projects. A library asset management system is designed with a focus on both the storage and retrieval of media assets that do not frequently change. Unlike a brand asset management system, more resources are dedicated in a library asset management system to the efficiency and speed in retrieval of video, photos, or large texts that have been stored in the system. There are a large number of open source digital asset management software packages on the market today. The following is a subset of the available resources at the time of this writing available under different open source licenses at the time of this writing. EnterMedia was formerly known as the OpenEdit DAM and is an open source DAM that was created using the OpenEdit content management framework. The software package includes the traditional options that all modern digital asset management systems are expected to contain such as bulk uploading of media, embedded metadata, and transformation of image assets. Instead of using a database to store information, EnterMedia leverages XML files as the default option “out of the box.” For those who prefer to setup a DAM with a database, there are database connectors available within the software application. The OpenEdit framework is considered mature and since it leverage Java is considered suitable for large organization or enterprise use. More recently the EnterMedia software build has grown popular within the multimedia community and includes a number of plug-ins that allow it to easily integrate with modern video technology. For those who prefer Windows solutions, FocusOPEN is Windows .NET open sourced digital asset management solution. The software comes in both a free AGPL or a commercial version. The commercial version allows the organization to remove attribution to the company as well as the ability to avoid making source code modifications public. Additionally, commercial users enjoy access to early releases of product upgrades before the open source clientele; however, for smaller organizations or those who prefer stability this may not be a huge factor. FocusOPEN continues to be marketed for Windows systems admins and .NET developers. FocusOPEN’s open source build does not include a number of options that might be required in an enterprise setting such as batch import options for loading data from CSV files, SLA, and AD integration. In order to obtain these capabilities, the commercial license must be acquired. The Notre DAM application was developed by the Center for Advanced Studies, Research and Development in Sardinia (CRS4) and is one of the easier DAMs to employ compared to some of the more complicated open sourced and commercial systems. The program uses Python and includes a SWLLite database by default (the database can be changed to an alternative RDBMS or MySQL depending on the preferences of the user). The Notre DAM software suite leverages the MediaDART framework that includes a number of media processing features suitable for a DAM and is also tightly integrated with XMP. The XMP integration includes a number of options for metadata manipulation and also includes support for video, images, workflows, documents, and multiple taxonomies. Phrasenet is a digital asset management system that was originally a commercial product that sold for 7,500 Euro! Since that time, the French Vendor, Alchemy, who produces the product has changed the licensing policy and now makes the software available under an open source license. Phraseanet is based on MySQL and PHP and supports documents, video, and images. The project does use the GPL3 open source license that can be a bit more restrictive than the BSD, but proves sufficient for most client project. The ResourceSpace DAM was originally created for Oxfam who later released the software project under a BSD license in 2006. The project is a full featured management system built on PHP and MySQL technologies. ResourceSpace makes use of a number of open source toolkits such as ImageMagick, OpenOffice, and FFMPEG. There are also a number of plugins that can be used with the program to expand the functionality of the software to include LDAP integration. The TACTIC digital asset management system started out as a commercial product but has since been released under an open source Eclipse license. Southpaw Technology, the developers of the product, have a significant background in film and #D animation; however, both editions of the software have been adapted to other fields with great success. The data asset management tool suite focuses on workflow capabilities and is able to handle both large files or large volumes of overall data. Another feature not commonly found in all of the open source DAM applications is the ability to include budget tracking within the project. Technologies: Oracle or Postgres and Python. License: Eclipse open source or Commercial. Although there are literally hundreds of commercial DAMs on the market, SharePoint is one of the popular solutions for organizations that rely on Microsoft products for Enterprise management. SharePoint Server 2013 is the latest edition of the software at the time of this writing and includes a library template called the Asset Library which can be customized to store and catalogue both rich media assets and any type of Microsoft Office document. The asset library includes a preview feature that will display a thumbnail of any rich media asset and has a rich metadata set for all assets. SharePoint is suitable for small to larger enterprise uses and supports the insertion of web parts onto web pages for team sites built upon the technology. Other features of the software include workflows, rules, policies, and routing which help manage assets as they are checked into the asset library, modified, and approved. How to Install Windows Sharepoint Services? Microsoft provides Windows SharePoint Services (WSS) as a free add-on to Windows Server. A common task that arises for admins who have been tasked to add Sharepoint capability to Windows Server is determining how to install WSS. Step 1 – Download the Sharepoint add-on to the target computer. Step 2 – Double click the installation file and agree to the SharePoint License Agreement. Step 3 – Determine if the basic or advanced installation is appropriate for your server’s needs. The basic installation is most appropriate for users that are new to using the SharePoint add-on for Windows Server. The advanced option will require specific configuration options be input which may or may not be within the capability of a beginning user to setup. Step 4 – When the installation process is complete select the “close” menu button. Step 5 – Start the SharePoint Configuration Wizard. Step 6 – Choose the “Yes” menu button to restart services required to complete the SharePoint plug-in configuration and installation. Depending on the speed of the server, it may take more than 10 minutes for the configuration step to finish. Step 7 – Once notification of the configuration step being complete, launch the SharePoint application to start modifying the initial “TeamSite” in the application. It really deals a lot of great things talking about microsoft. The company has diversified in recent years into the video game industry as well as into the consumer, electronics and digital services market.Its a better way to follow. 218 queries in 0.541 seconds.